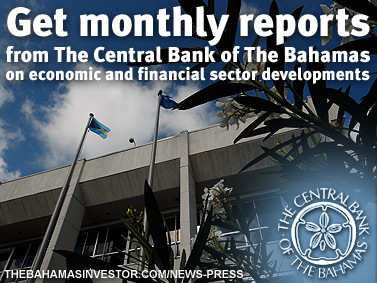 Preliminary indicators suggest the continuation of a mildly positive growth outcome for the Bahamas' economy during the month of August, supported by on-going gains in tourism and a stable contribution from foreign investment-led construction activity, according to the Monthly Economic and Financial Developments report released by The Central Bank of The Bahamas. Preliminary indicators suggest the continuation of a mildly positive growth outcome during the month of August, supported by on-going gains in tourism and a stable contribution from foreign investment-led construction activity. Consumer prices remained relatively subdued over the twelve-months to July, as fuel costs sustained their downward trajectory. In the monetary sector, July’s short-term contraction in bank liquidity was reversed in August, while external reserves fell, mainly due to the seasonal increase in foreign currency demand to facilitate current payments. Indications are that the tourism sector sustained its modest recovery over the year, reflecting the improving economic conditions in several key source markets. Based on preliminary data for the high value-added stopover segment of the market, over the first five months of 2014, the number of visitors rebounded by 3.7% to 626,982, from a 4.9% contraction in the previous period. This outturn was largely attributed to growth in the dominant United States market—which accounted for 76% of the total—by 2.0% to 475,165, vis-à-vis a 5.6% decline a year earlier. In addition, visitors from Canada and Europe rose by 17.3% and 3.6%, to 75,552 and 37,470, respectively; however, the Caribbean and Latin American markets recorded declines of 14.1% and 1.3%, respectively. Gains in the stopover segment were concentrated in the Grand Bahama market, where increased airlift and the launch of the new mid-sized resort in April supported a 25.2% hike in arrivals to 94,392—a turnaround from the year-earlier 11.7% reduction. Similarly, growth in the Family Island segment accelerated to 6.8% from 0.6% in 2013, to 130,465. In contrast, visitors to New Providence fell by 1.2% to 402,125, extending last year’s 5.2% decline, as the temporary closure of a few properties for renovations lowered room inventory levels. Domestic consumer price inflation for the twelve months to July, 2014—as measured by the Retail Price Index—firmed slightly to 0.91% from 0.83% in 2013. Among the components, the average cost for alcoholic beverages, tobacco & narcotics accelerated by 6.9 percentage points to 8.4%, while more muted gains were recorded for transportation, of 2.8 percentage points to 3.1% and miscellaneous goods and services, of 1.7 percentage points to 2.2%. Average price increases for recreation & culture and communication costs also advanced, by 2.25% and 0.8%, vis-à-vis respective year-earlier declines of 0.5% and 4.5%, and were less than 1.0 percentage point for education, health, food & non-alcoholic beverages and furnishing, household equipment & maintenance, which rose to 2.4%, 2.1%, 1.6% and 0.8%, respectively. In contrast, average price declines were recorded for housing, water, gas, electricity & other fuels—the largest component of the index—of 1.2% and clothing & footwear, of 0.3%—a reversal from 2013’s respective gains of 1.3% and 0.6%. Domestic energy prices trended downwards during the month of August, as the average cost of gasoline and diesel fell, by 2.0% and 1.2%, to $5.47 and $5.07 per gallon, respectively. 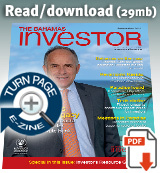 However, this contrasted with respective yearly gains of 0.6% and 1.6%. In addition, the Bahamas Electricity Corporation’s fuel charge declined by 3.7% in August, to 24.35¢ per kilowatt hour (kWh), and by 8.6% year-on-year. Atlantis Paradise Island, the newest member of Marriott International’s portfolio of independent hotels, is now officially available to book through Marriott websites. Scotiabank has partnered with the Bahamas National Trust to host the 2014 Wine & Art Festival scheduled for this weekend.